It has been a while since I posted anything here, I have been busy with all sorts of things but still knitting. 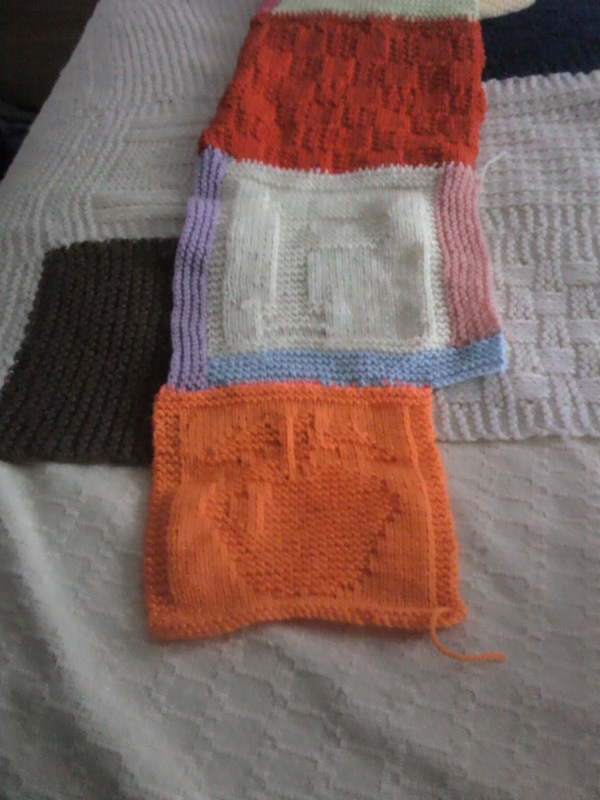 I have been collecting squares to make a Friendship blanket we swap 8 inch squares on Knitting Paradise forum. Some squares are exactly 8 inches some are not, I have squares that are 7.5 inches to almost 9 inches but that is OK I can work with all of them. I have added the extra inches so they are all the same size taking the largest square and going with that I alter the others to match. 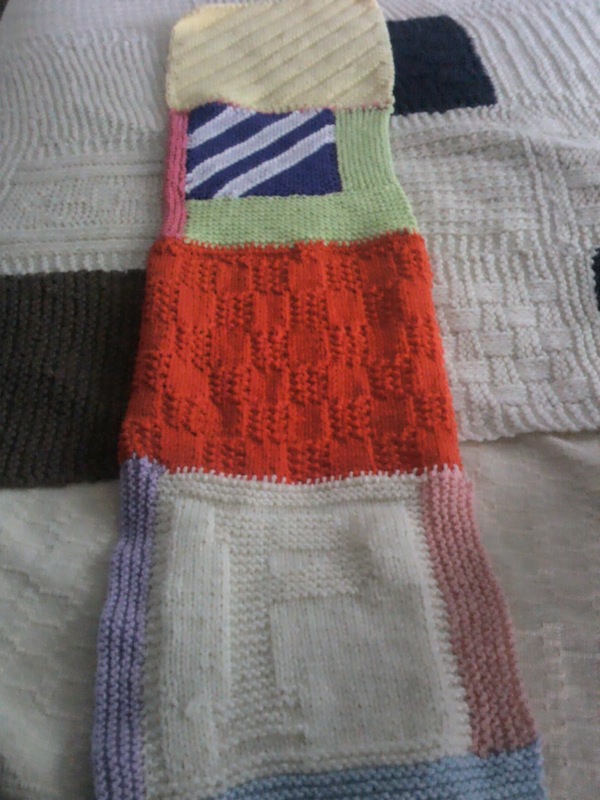 I will make a knitted patchwork blanket by adding narrow strips between the larger square strips. So it will be large square strip narrow square strip until I have a blanket the size I want. 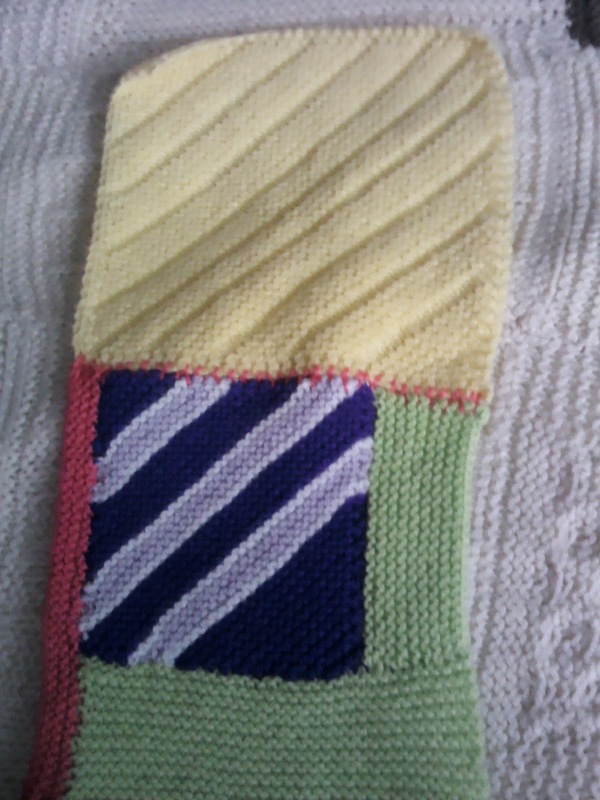 The narrow square strip will be knitted in one long strip rather than separate squares. I am using a decorative stitch to sew the squares together this link will show you what I am doing. The end result will be a pretty and unique blanket. 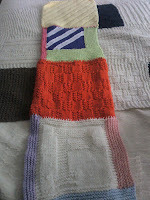 You can see what I done so far and how I have added extra knitting to the various squares. The picture on the right shows the gap that will need to be filled in. I am in the process of making the long strip of small squares to add to the side of this strip. 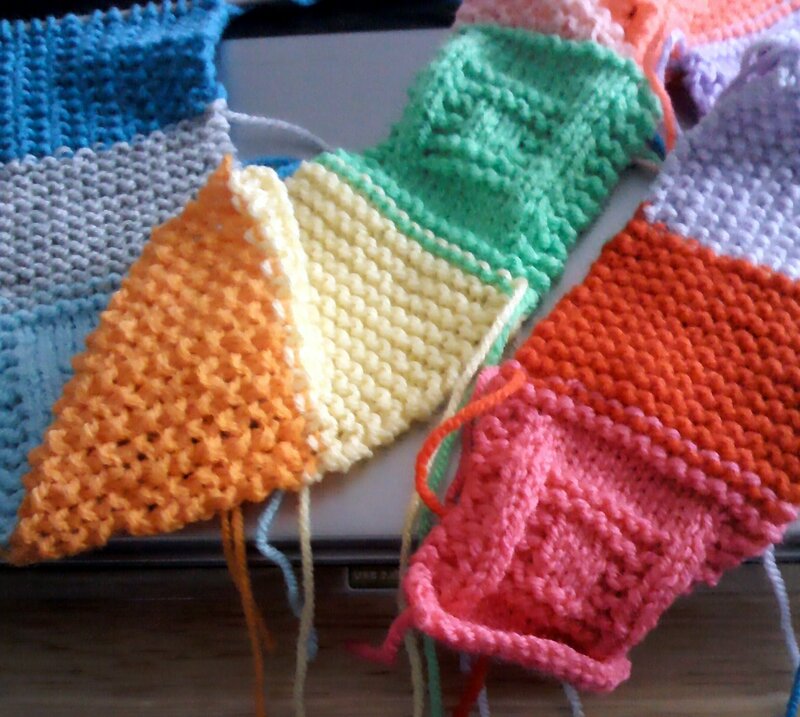 This is the strip of small squares that I will add to the blanket, it will be slow process but will be worth doing. Between making this I will make some baby blankets and other items so I do not get fed up knitting squares all the time.